is the director of this patriotic movie. 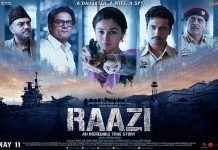 Below you can find Raazi vs Paramanu Box Office Collection, Raazi vs Paramanu Review. 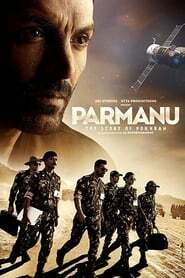 Paramanu: The Story of Pokhran movie is based on the True story representing a big historical day for India from 1998. 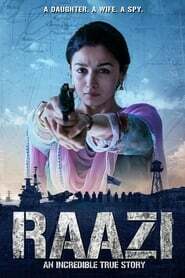 This movie is a Bollywood movie in an Action drama genre. Parmanu is directed by Abhishek Sharma featuring John Abraham, Diana Penty and Boman Iran in the lead role. Parmanu is produced under the banner of Zee Studios and JA Entertainment. You will see how the soldier successfully executed the nuclear bomb test explosions secretary. Parmanu is based on the True Stroy took plan in Pokhran in the year 1998. 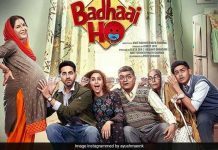 The movie was supposed to release on 8 December 2017, but got delayed and got released on 25 May 2018. Parmanu movie has done great in the Box Office Collection. This movie was made with the Budget of 44 Cr and had grossed around 99 Cr in the Box Office Collection. As per Movie-Raters HOFS Scale, Parmanu scores 2.3, which is considered as a hit movie. Paramanu: The Story Of Pokhran describe a lot about the movie. This movie is based on Pokhran 2, a nuclear bomb test explosions after which India was recognized as a nuclear power country on the global stage. Pokhran is a part fact and part fiction movie and overall the movie is decent. Based on the biggest event in Indian History, the movie received a good response from the audience. The movie is far-fetched but overall was loved by the audience; all thanks to the Cinematography and the storyline. We see good use of CGI, especially during the outer space, which makes the movie look better. John Abraham is playing the lead role in the movie and has played it absolutely well. Apart from him, the supporting character roles are perfectly assigned which give value to the other people involved during this big event.